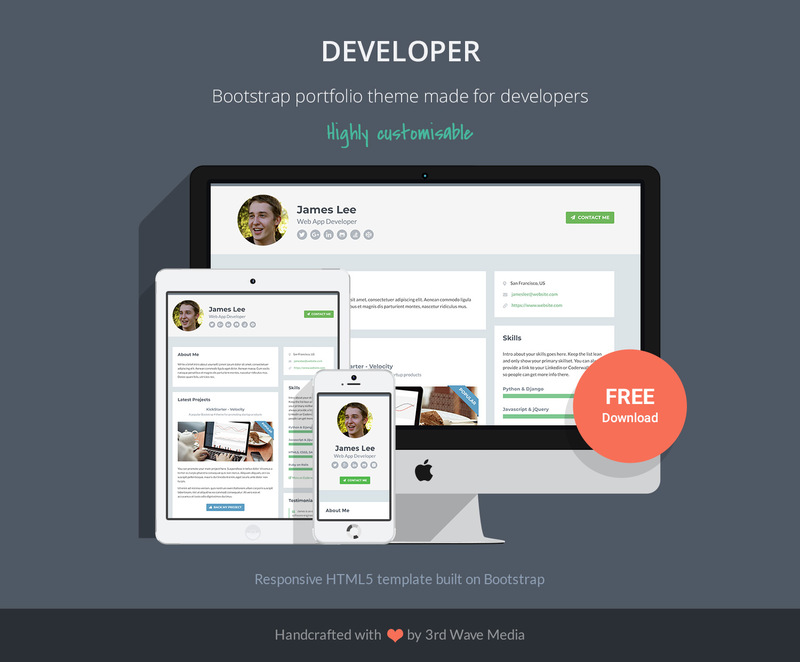 Developer is a free Bootstrap theme designed to help developers promote their work. 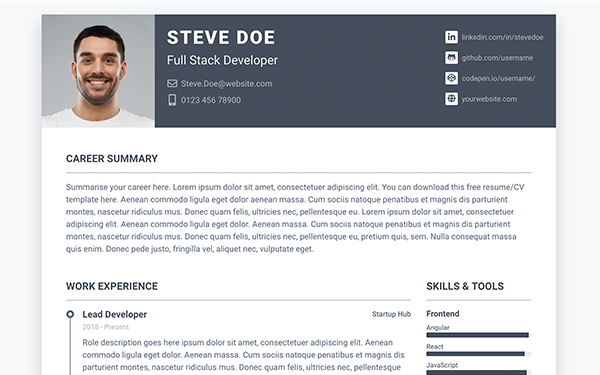 It can be used as a professional portal to your other online portfolios or websites (eg. 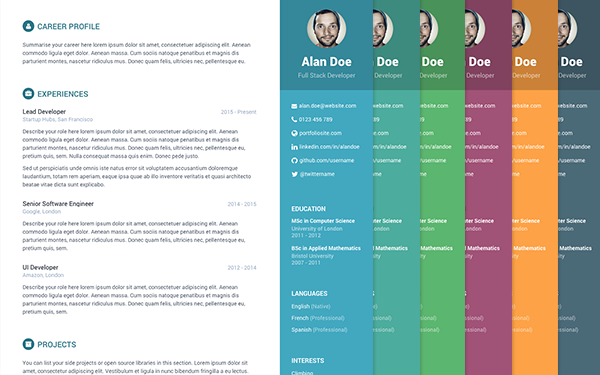 Linkedin, CoderWall, Blog, GitHub etc) in a modular fashion. 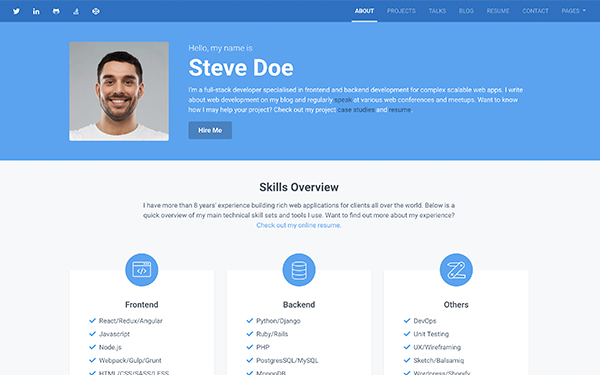 The theme comes with all of the source SCSS files included so the styling/colour can easily be customised to your taste.